City IndexHow much does it cost to die in cities around the world? This week in City Index we compare global funeral and end-of-life costs. 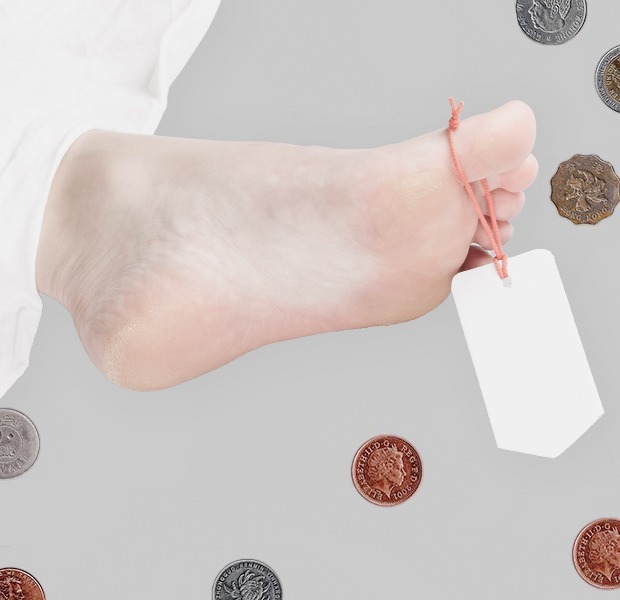 We already know the cost of living is getting higher, but what about dying? Yesterday, the Guardian reported that the cost of funerals has increased dramatically in the United Kingdom, leaving many families to struggle with end of life costs ("Too poor to die"). Around the world, these costs have been rising substantially over the past ten years and countries are increasingly choosing cremation to curb burial costs. 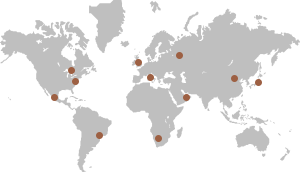 We chose ten cities across the globe from London to Beijing to retrieve our data. In Japan, funerals are a mix of religious customs and elaborate preparation. Although 98% choose to cremate their loved ones, the ceremonies are no small affair. According to the Japan Consumer's Association, people have paid between ¥401,000 to ¥1.42 million per ceremony, including funeral attendant fees and monk's services. In some cases, the deceased take a new name for the afterlife, and gifts, photos and flowers are added to the grave. In Mexico City, the cost of burial ranges greatly. Lower cost subsidization to families at 7,500 pesos is provided by the IMSS (Mexican Social Services Institute). Fancier funerals with full service and elaborate caskets can match average costs in the US, at 180,600 Pesos in some cases. With American healthcare costs at an all time high, it is no surprise that dying would be quite expensive in one of the US priciest cities. Because of the limited availability of green space for burials, graveyard services can cost $10,000. More people are choosing cremation, however, which costs an average of $700 in some parts of New York, but a full cremation service ranges from $2,500 to $4,000. In Canada, the price of a funeral varies greatly by area and method. A basic cremation service in Toronto can cost $1,470 CAD to cut costs. Many families are opting to choose at-home funerals. SunLife, a later life planning company, has released statistics that show the average cost of dying is multiplying in the UK. Funerals account for only 43% of the cost of dying, at £3,590. Estate administration costs £3,004, and the remaining additional costs are £1,833. In 2014, the average cost of dying was £7,600 to £8,427. Over the past ten years, funeral costs have risen 87% in the UK. DIY estate administration has increased to 52% from 39% in 2013. 14% of people (one in seven) have stated that the cost of planning a funeral caused significant financial strain. China has the largest number of deaths per year, estimated to increase to 10.4 million deaths per year in 2017 from 9.7 million in 2012. Funeral costs in China vary depending on rural or urban location due to the current real estate boom. Because of this, funeral costs can range from 4,750 Yuan for rural residents to 70,000 Yuan for urban residents, up from an estimated 10,000 to 20,000 Yuan in 2007. Italians traditionally preferred burials until the first crematorium opened in Milan in 1876. Cremations can cost as low as €270. From 2001 to 2011, the cost of a funeral in Italy has risen by 53%. South Africa has a death rate of 17 per 1,000 people every year, which is almost twice the international average. The burial cost varies from 7,500 R to 70,000 R.
In the UAE, the burial costs and process depend upon the religion of the deceased. For example, Christian cemetery fees cost in the range of 1,100 Dh for adults and 350 Dh for children. Also, the large amount of expats in Dubai presents high costs for the transport of remains. According to the Bureau of Statistics, in 2012 88.5%, or 7.31 million out of the 8.3 million residents of Dubai are expats. Caskets sold by Al-Shindagha Trading Company, the only approved manufacturer of caskets for transport of remains, cost 1,200 to 2,300 dirhams. Transporting a body to India can cost up to 5,000 Dh. Because of this, a new cremation facility at Al Ain cuts down these costs significantly, saving about 1,000 Dh. In Russia, the average cost for a burial and ritual services in 2013 was 46,108 RUB. The US Embassy reports that as of April 14, 2015, body preparation in Moscow for a US Citizen would cost around $2,000. In 1994, The New York Times reported that the simplest municipal burial without a headstone cost 8,888 RUB, or $160. Because the Moscow government subsidizes the main burial company, many other cities in towns face much higher burial costs.